Boost morale and bust fatigue during crunch time. Chair massage makes your employee’s day! Give us a call and we’ll discuss options. 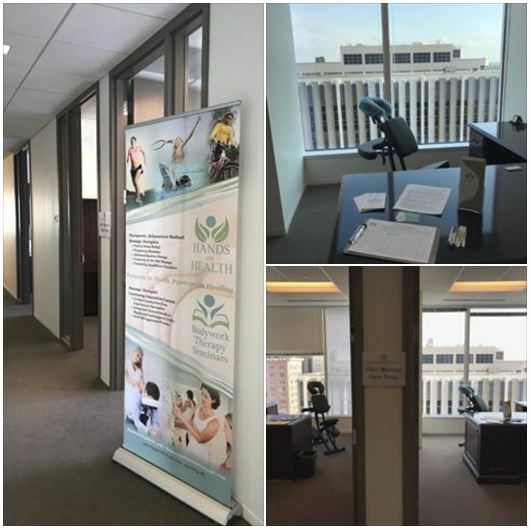 Add classes led by our massage therapists to your company’s wellness program. Give us a call and we’ll discuss. Come to us and learn. Stay in touch with health and well-being. Take classes in topics such as “Wellness 100”, “Abdomenal Health”, “Learn Home Care Cupping Massage”, “Partner Massage Swap”, and much much more. Sign up and learn more by visiting: www.handsonhealthnc.com/Events. Donated Drop In & Discover (our catchy name for awesome classes open to the public) event fees are given to one of three charities: The Triangle Aphasia Project, The Boys And Girls Club Of Johnston County, and Wake SPCA. Are you a massage therapist, physical therapist, chiropractor, or other type of physical medicine healthcare provider? Check out our Bodywork Therapy Seminars classes. 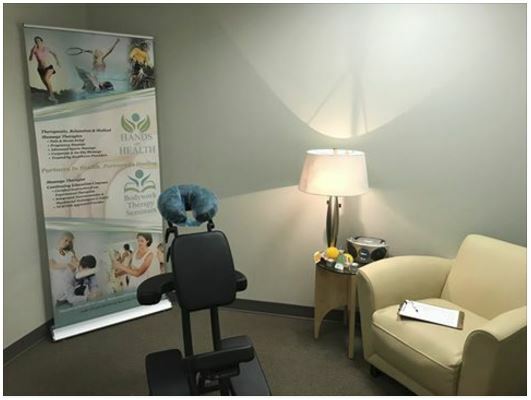 Hands On Health is a national provider of bodywork continuing education approved by the National Certification Board For Massage And Bodywork. 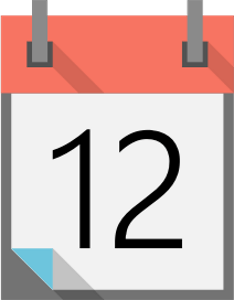 Call Us At 919.854.9555 To Arrange An Event At Work or Register Here For One Our Prescheduled Workshops. 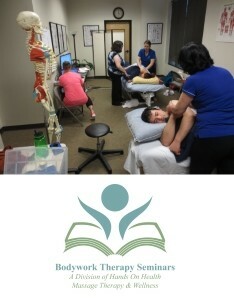 For Bodywork CE Classes for healthcare providers, visit BodyworkTherapySeminars.com.